When you unpack a new table saw-whether it's a bench top, contractor or cabinet saw-the enclosed manual doesn't venture much beyond basic safety, assembly, and set-up. That leaves some head-scratching when it's time to turn it on and start cutting. Where's the manual that covers all the things your new table saw is designed to do? 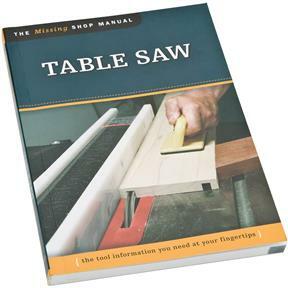 The Missing Shop Manual-Table Saw takes that next step with you. In addition to explaining the basics of safety and set-up, this handy reference will help you get the most for your money by getting the most from your equipment. From cutting dados and molding to creating jigs, you'll discover the techniques and tips you need to maximize your table saw's performance. Even if you've been woodworking for years, you'll wish this was the manual that originally came with your new table saw. 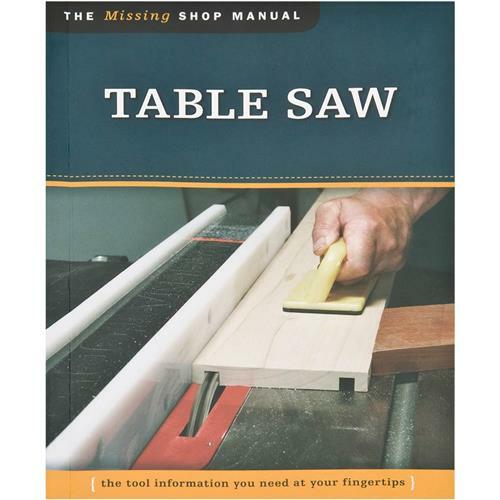 Best book even for an experienced table saw user. It is always good to have extra information about your power tools. 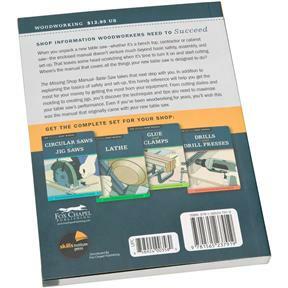 I bought this little book for my husband and put a check with it for a new Grizzly table saw. He was thrilled but, I was so disappointed when he started reading the book and right away noticed errors in the description of some pictures. He hasn't read very far and has found three errors already! I suggested returning the book and he said that even if he finds one helpful tip, it's worth it. I guess the proof lies in the remaining pages. Bought this after reviews of people saying how much better it made setting up their table saw. I've worked with table saws and wasn't really much help to me. More for a beginner who doesn't understand the different cuts and what not. Overall, good information. Just save your money if you've worked with wood before or wood tools. I was so glad to see that everything was made of metal and not a bunch of plastic. Everything fits good as far as I can tell. I like the hefty fence. This is a really good little book (almost pocket size), to keep near the table saw. Its large print and a very quick refresher on basic safety and setup techniques. Very helpful. There are a good number of tips in here on setting up my new table saw that did not come in the manual.